With the release of Legendo’s The Three Musketeers: One For All! drawing ever closer, we thought it was about time to get in touch with Bjorn Larsson, the CEO and Executive Producer at Legendo, to find out what we can expect from their WiiWare debut. Nintendo Life: Can you tell us a bit about Legendo studios to kick things off? Bjorn Larsson: We are based in Sweden and operate as a virtual company thus employing talent from all over the world - a small core team manages day to day operations. The Three Musketeers was developed internally, but the larger goal for Legendo Entertainment is to become a digital download publisher of quality console games based on myths, legends, classic novels and historical events. 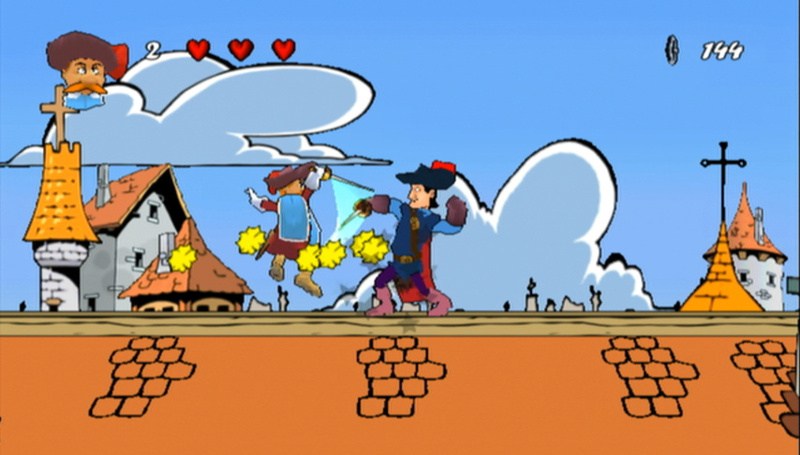 Nlife: We understand that Musketeers started out life in 2005 as a game for Windows. Will the WiiWare version be much different? Bjorn: The original Windows version was around 330 MB on disc so cramming it into the 40 MB WiiWare limit we had to make a few sacrifices, so the biggest difference is in size... but since we’ve used every fancy compression trick in the book, we don’t think anyone will notice. Having that said, the WiiWare version is more of a director’s cut release, a lot of minor nuisances present in the Windows version has been rectified, a few scenes have been cut and/or replaced, game balance and pickup objects has been redistributed, and the controls system has been revamped for the Wii. Aside from that, it’s pretty much the same game. 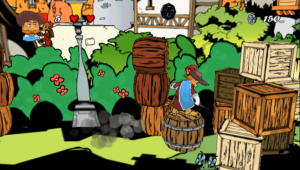 Nlife: What inspired you to develop a game around Alexandre Dumas’ classic novel in the first place? Bjorn: First of all we’re huge fans of classic literary works, and Dumas’ frequent mix of romanticism and humor in The Three Musketeers provided us a great slate of characters with an interesting and historical setting people could relate to – in our view, that is a perfect backdrop setting for any video game regardless of its mechanics. Nlife: Can you tell us a bit about the art style in Musketeers? 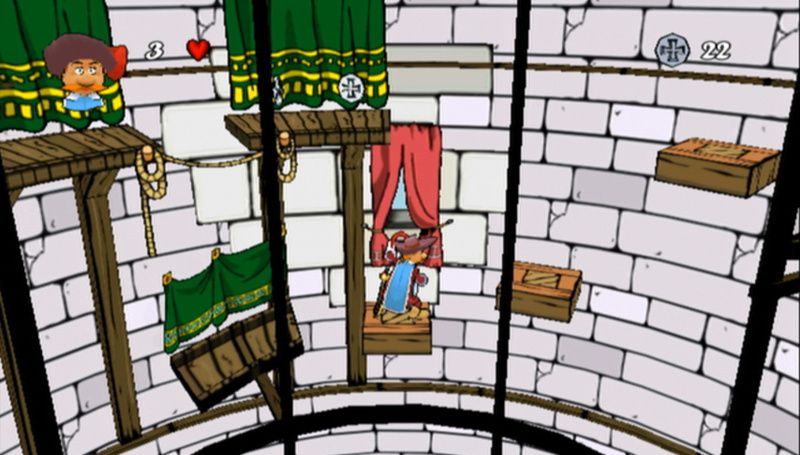 Bjorn: The game engine etc is fully 3D and but employs hand drawn environments. Nlife: Was Capcom’s Viewtiful Joe a touchstone for the development of this game? Bjorn: Viewtiful Joe was certainly one of the inspirations for the game in terms of visual style, especially for the backgrounds and cel-shaded look. Nlife: How do you utilise the Wii Remote and Nunchuk in this game? Bjorn: To put it bluntly - you swing the Wii Remote quickly to sword-attack while the Nunchuk is used to control player movement such as running, climbing, and ducking. Nlife: Can we expect Prince of Persia style combat, or is it a less tactical hack n’ slash affair? Bjorn: We like to keep things simple, so this one definitely fall’s in the hack n’ slash camp - sword combat is fairly straight-forward and to the point. 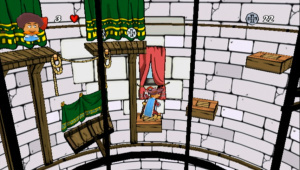 Nlife: Are the in-game puzzles quite simple, or fiendish? Bjorn: Some of them are fairly intricate whereas others are of a more simple nature, there’s a bit of everything in there really. Watch out for the rooftop archer! Nlife: How long might it take the average gamer to complete Musketeers? Bjorn: We think the average gamer can expect 5-6 hours of joyous sword-slashing entertainment. Nlife: Are there any additional modes to increase the lifespan of the game? Bjorn: No additional modes, it’s a story-driven platformer and fairly linear. Having this said, the game has three different endings which we hope will provide a bit of replay value. 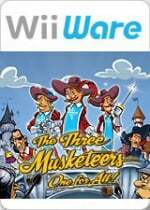 Nlife: When do you expect Musketeers to be available on WiiWare? Will Europe or North America get it first? Bjorn: We don’t have a written confirmation yet, but right now we are expecting a release in North America, Europe and Australia in the last week of July. Nlife: What price point are you aiming at? Bjorn: 900 Wii points has been confirmed for Europe, we expect North America to follow suit. Nlife: Do you plan to release any more games on WiiWare, or DSiWare? Bjorn: Oh yes, we have two additional WiiWare titles in development which we expect to announce shortly. We’re just getting our toes wet with this one. 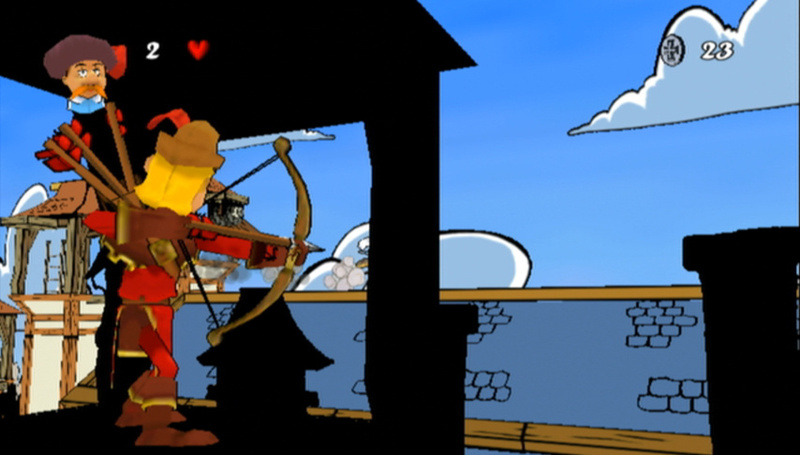 Nlife: What are your favourite WiiWare games to date and why? Bjorn: My personal favourites are World of Goo, due to its brilliant execution and high level of polish and the other one being Wild West Guns, because I always love a good shooter that brings back fond memories from the arcade days. Nlife: Is there anything else you'd like to say to our readers in closing? 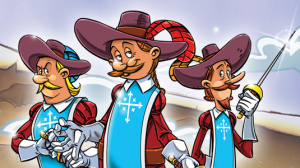 Bjorn: We hope you will enjoy the game, in the meanwhile feel free to visit The Three Musketeers on Facebook. Really look 1 ng forward to thi s . Pla t formers rock! This should be fun. Looking forward to it. Day one purchase for me. Just became a fan on Facebook. Game looks interesting. Interesting interview as well. I'm really excited for this one. 900 points? Yes please! if you look at the title picture, doesn`t the guy in the middle and to the right look like mario and luigi. I games built around hand drawn art. Looks nice. Sorry, I just need to draw attention to WhoKnew's creative firstie. I love you guys sometimes; I really do. Also, this game (as I said in the forum earlier today) should turn out great. I'm really excited for it. The developers seem like really nice guys and I'm hoping for the best from this release! I agree, that was really clever WhoKnew. Nice interview guys. I'm definitely looking forward to this more than I did when I first heard about it. Nice! another wiiware gem to add on my list. Thank you Legendo studios=) I love wiiware platformers, really you can't go wrong with a decent platformer.This is my first time reading/hearing about this game ,so the interview was very informative too! This was an excellent interview! It provided me with a lot of information on a game that I would have otherwise overlooked. I am definitely keeping an eye on this game and Legendo's future projects! I rarely say this because, unfortunately, many WiiWare games look poor and have not much to offer. But this one looks at least promising. And if the developers were really inspired by the excellent Viewtiful Joe, then I see much potential in this game. 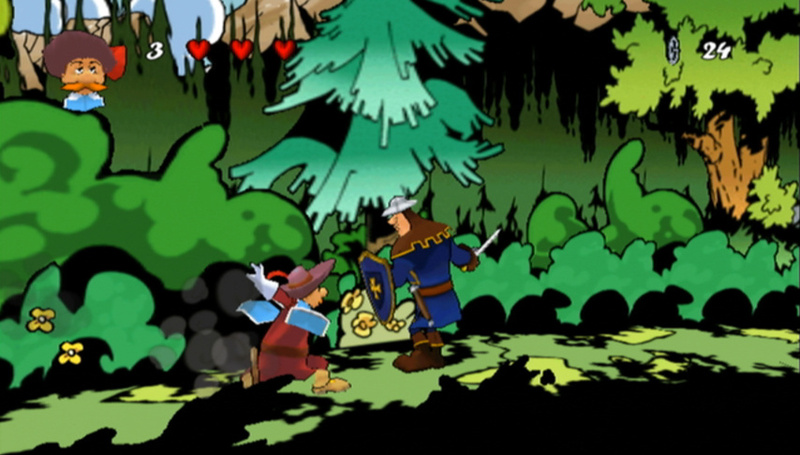 Maybe here comes, in addition to NyxQuest, LostWinds and Mega Man 9, another excellent first-rate jump and run game. I would not mind, then finally there is a reason to clean the cobwebs off the Wii console. Looks good but I don't like the idea of swinging the wiimote to attack in a game like this. Also, first game I've seen at 900 points. Nice comments guys, thank you:) It's definately a pretty wee thing and I'm looking forward to seeing the reviews roll in!